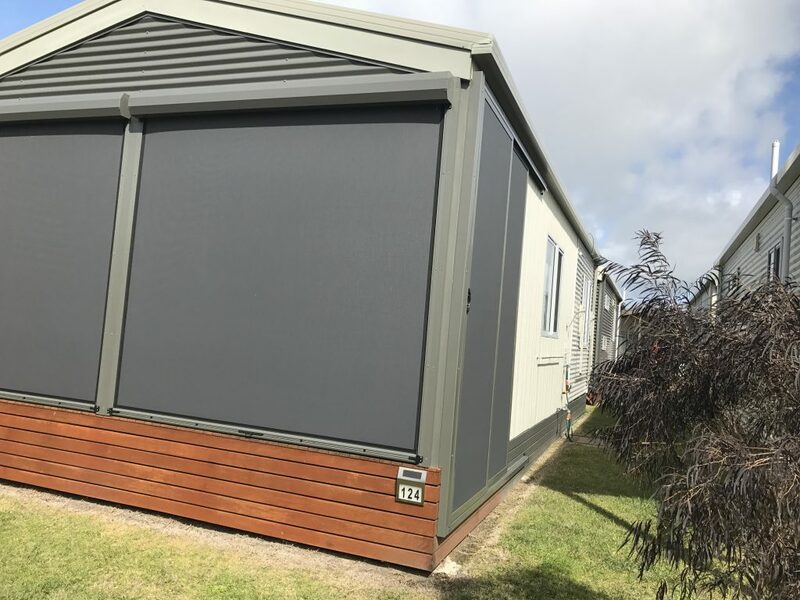 Cabin comprises 2 bedrooms (1 with double bed, the other with bunks), a well-appointed kitchen, bathroom and separate W.C., decking and external shower. Zip-lock blinds on the deck provide security and privacy. Bi-fold doors increases the usable living space, and extra storage, heater and wall-mounted TV on the deck enhances outdoor living. This comes with floor coverings, curtains, ceiling fans, fridge, microwave and all beds. Lots of extras, so don’t miss out.